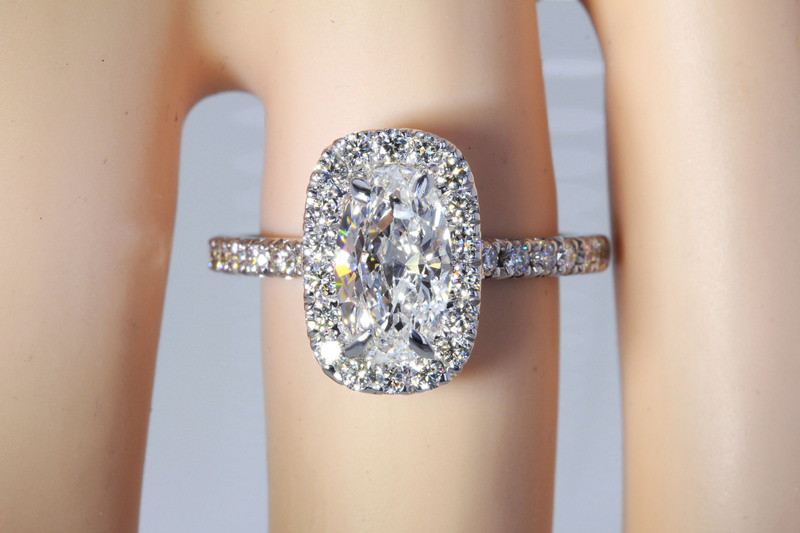 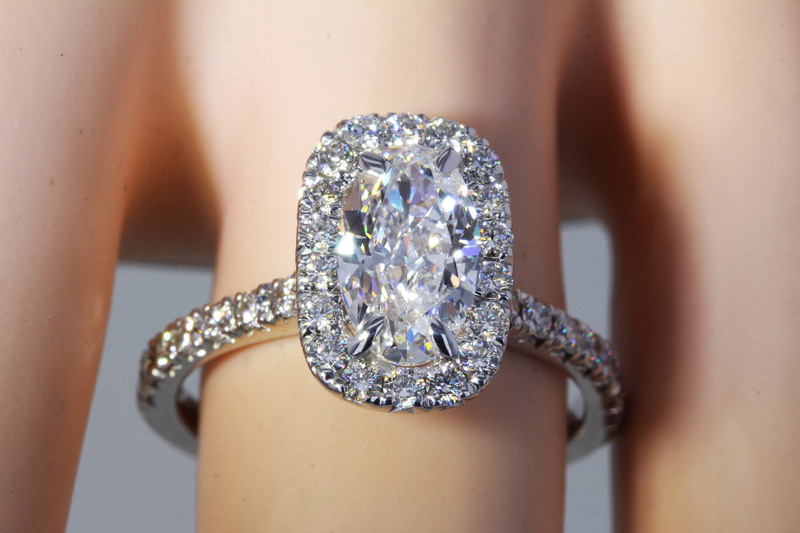 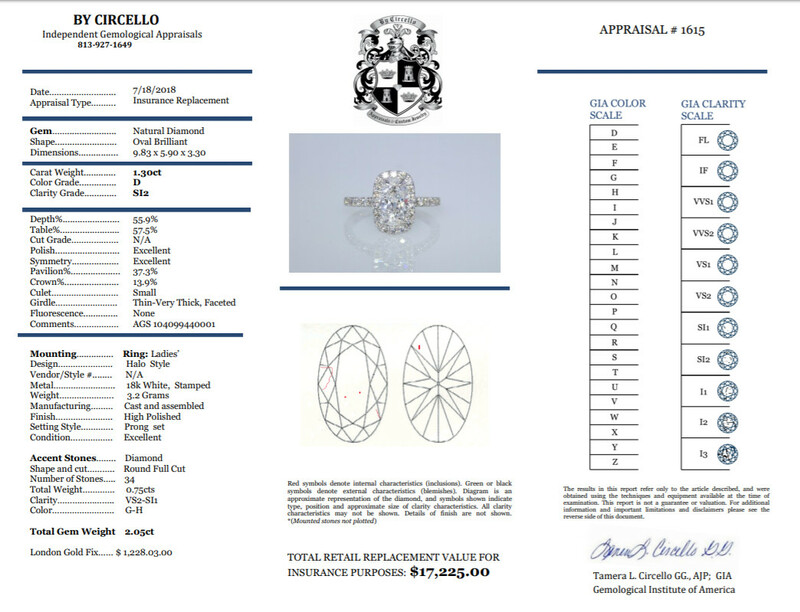 Categories: Specials, Engagement Rings $4000 & Up "Priced Low to High". 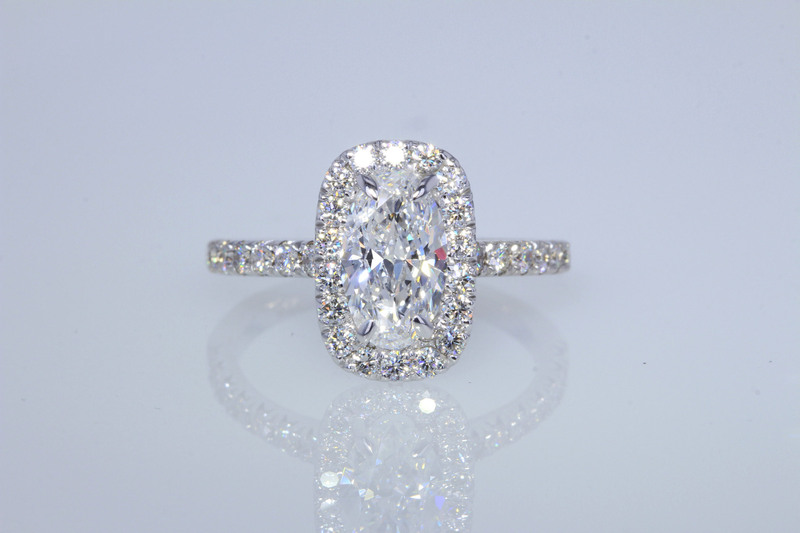 Center Diamond is an amazing Oval brilliant diamond with the most rare D colorless color and 100% eye clean clarity of SI2(see video) yet looks more SI1. 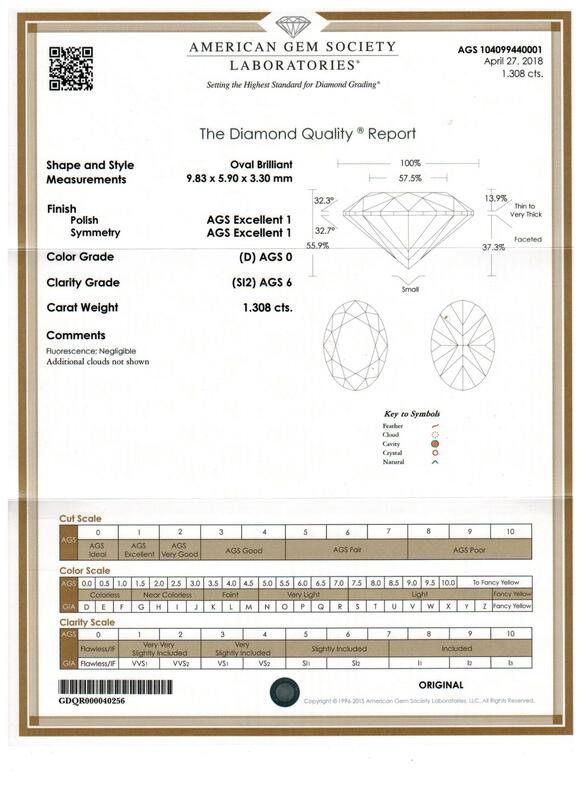 The diamond was lab certified by AGS which is known for being critical and stringent in their grade as GIA if not more with Excellent Symmetry and Polish for undeniable brilliance and fire. 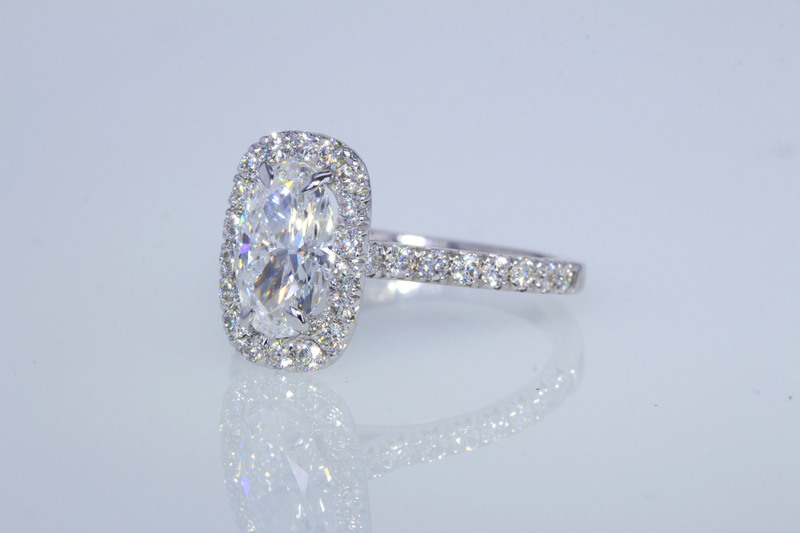 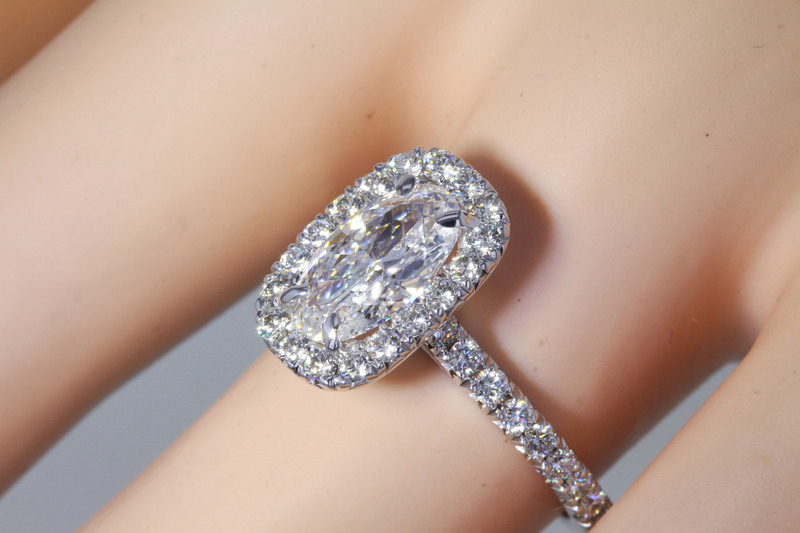 The diamond faces up HUGE like 1.5-1.75CT Oval. 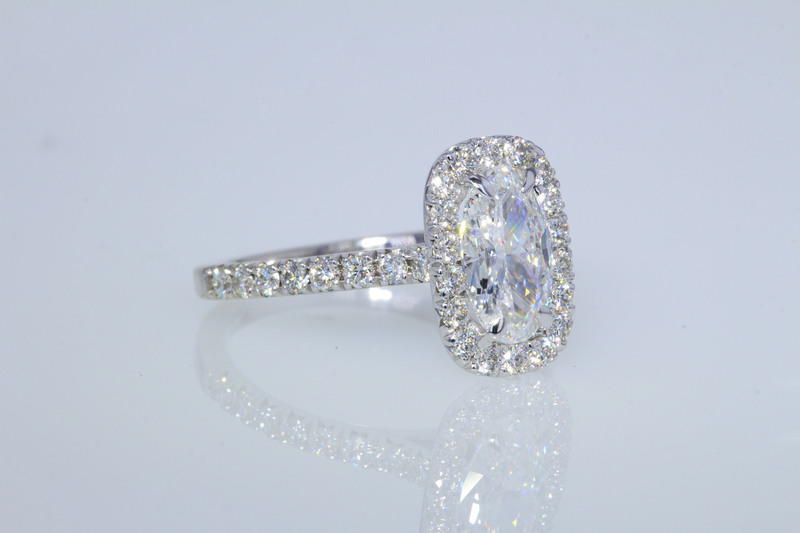 The diamond was just set in this brand new 14kt white gold halo setting with an addition 3/4CT of high quality full cut round brilliant diamonds for a total carat weight of 2.05CT. 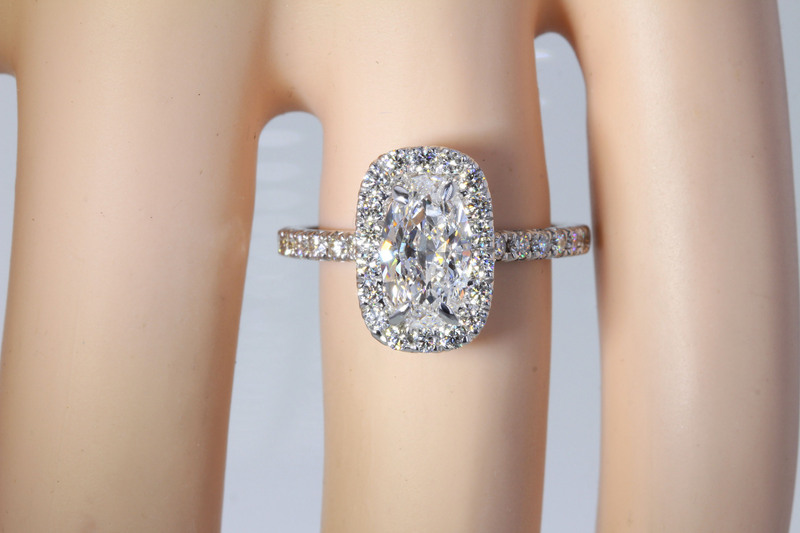 The setting is elongated and looks different then all the rest, definitely and eye-catcher and head turner!